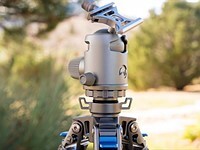 The Colorado Tripod Company has introduced what it claims is the world’s first titanium tripod system, with a funding campaign on Kickstarter. 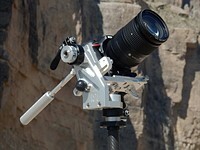 What makes a tripod a good travel companion? 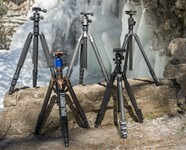 We test out five carbon fiber 'travel' tripods that while compact and light, are also comfortably tall and capable of supporting a reasonable amount of gear. 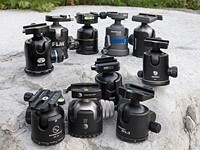 This review covers five models, examining their features, functions and ergonomics in use both in the studio and out in the field. Click through to read the roundup. 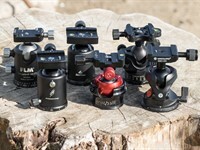 Ten ball heads reviewed and compared: Here are the biggest and best ball heads from a number of major manufacturers spanning the spectrum of price and features. 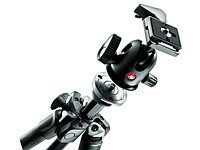 Carbon fiber has made its way into the tripod market, and Manfrotto's 290 Series is aimed at photographers on a budget. 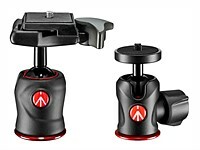 Will the Manfrotto 294 CF match competing models? Find out in our review. 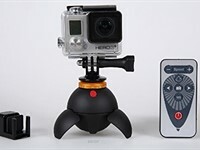 Tripods are a must-have for long exposures, low light, macro work, landscapes or product photography to name just a few typical situations. 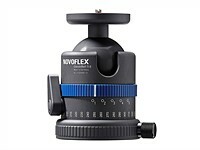 We've taken a close look at five of the best models for under $450. 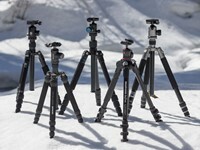 Read our tripod-roundup to find out which one is most suited to your photography.